In the metrology and high-quality dimensional analysis market, objective measurements are exacting results and are required to succeed. When starting up a new contract measurement company, a customer was faced with questions of what types of machines to run and which software to incorporate, all in a cost effective manner. The customer was a competent individual within the inspection industry already, having managed some of the best-known shops for over 20 years. 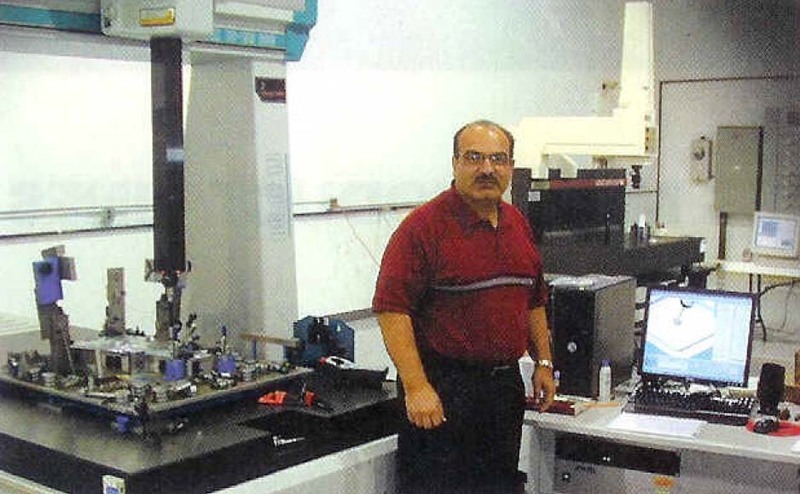 His extensive understanding of the measurement business allowed him to provide high-quality dimensional service at a competitive value, understand the inherent degrees of accuracy of various types of equipment, and supply the scheduling and timing required to meet the customer’s requirements, the fundamentals of CMM measuring are learned. As it turned out, Xspect Solutions, a larger supplier of CMM’s in North America, had just this understanding and software know-how to provide the customer with specific CMM solutions. Xspect Solutions features their specific OpenDMIS software on all new CMMs as well as on retrofitted and manufactured equipment they supply. The OpenDMIS software helps take the guesswork out of CMM programming and measurement processes, providing customers with a high level of power, precision, and productivity all at the click of a mouse. According to Xspect, there are no confusing pop-up windows, and the product incorporates the use of dynamic sensitive tool bars, action icons, and context sensitive work areas. Because the view port remains freely visible at all times, operating efficiency can be maximized. Most importantly, especially for a new company, installation and set-up are quick, allowing the shop to realize a cost-effective start-up. The pairing of a customer with extensive knowledge in the measuring CMM industry, and Xspect’s ability to provide some of the most cost effective, advanced equipment available, made for a unique partnership. Xspect provided the company with four different types of CMM equipment, most notable a new Wenzel LH8.10.7 (800mm x 1000mm x 700mm) with a Renishaw PH10M/ TP200 probe and OpenDMIS software. The Wenzel is designed to accommodate the highly accurate measurement of small to medium size manufactured parts, typical of the area f business the customer planned to go into. An Xspect Solutions X-Centric video CMM was also provided to allow non-contact and probe measuring capability for small parts with intricate details. With the integration of Xspect’s extensive background in CMM measuring and software applications in the form of OpenDMIS, the customer was able to quickly and cost effectively set up their own shop.